Big Fish Clothing have a quality selection of plus size waterproof trousers for large men. Suitable for both casual use and as workwear, our most popular brand of waterproof trousers is from KAM Jeanswear. 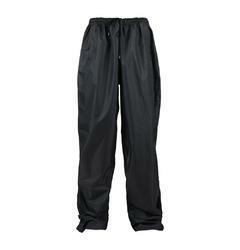 All of our big men’s waterproof trousers have elasticated waists for extra comfort, flexibility and ease of movement. Designed with breathable materials and 100% waterproof in rainy and snowy weather, our lightweight waterproof trousers will keep you looking fly and staying dry. Available in waist sizes M, L, XL, 2XL, 3XL, 4XL, 5XL, 6XL, 7XL, and 8XL.